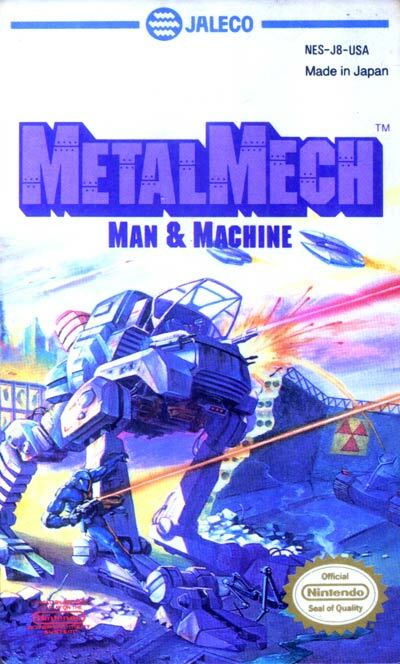 You control the pilot of a MetalMech vehicle (which looks similar to ED-209 of Robocop licenses) who can move across the screen left or right, either with the mech or without, and fire any direction except straight down. The Mech is better armored, but also a bigger target and much too big to climb ladders, so you'll find yourself as much outside as inside. Your goal is to cross each level filled with randomly generating enemies and reach the next. Power-ups are hidden in various containers and in various places.